We will be showing some of the new weapons to come in Minidoom2 and the first one to make the cut is Doom2016’s Gauss Cannon. The design behind the Gauss is all about these two words: PRECISION and POWER. Just like in the original game, the Gauss will shoot a single super-strong, super-fast projectile that will shred the demons it meets along the way. 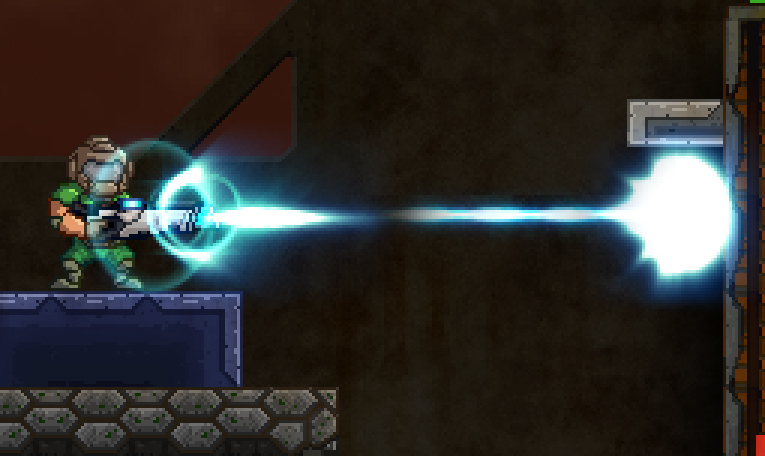 All energy based weapons in Minidoom will serve the purpose of aiding you in aiming to difficult targets in some way. And the Gauss will be the most precise of them all. It will auto track enemies near you in a cone in the direction you are aiming, and will home into the closest one. The shot will deal high damage but will have a very slow recharge rate. But don’t worry, if the enemies life is lower than the damage, the shot will pierce through and deal its remaining damage to other enemies in its path. It can roughly pierce 3 zombiemans and a barrel, or two imps, etc.